Iggy Azalea and Robin Thicke prepare to perform 'Blurred Lines' together. 9. 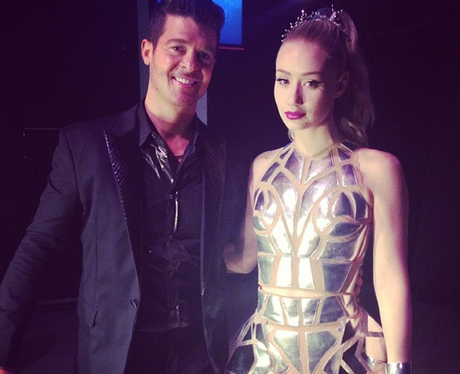 Iggy Azalea and Robin Thicke prepare to perform 'Blurred Lines' together.